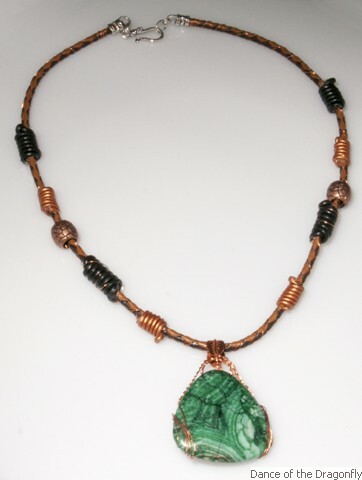 Inspired by my love of western wear and leather but elegant like lace. 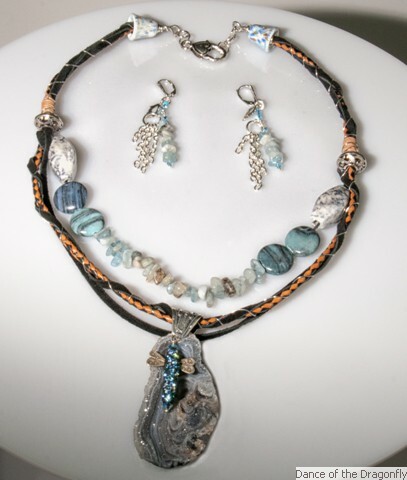 Most of these pieces feature gemstones, sterling silver, some have bolero leather and suede laced leather. Sterling is used in most of the pieces. 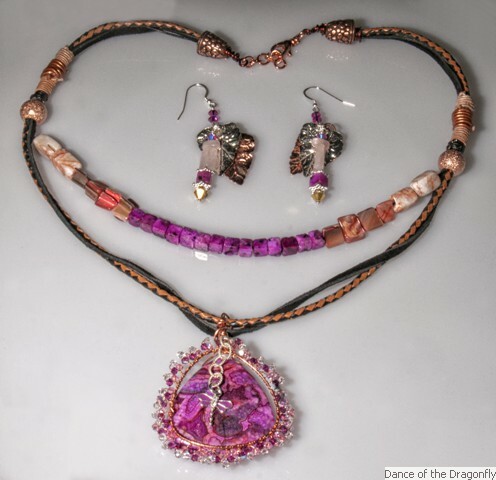 Some dragonflies are adorned with polymer clay tails and tiny Swarovski sparkles all over them as they lay on a gemstone focal piece that catches the eye. 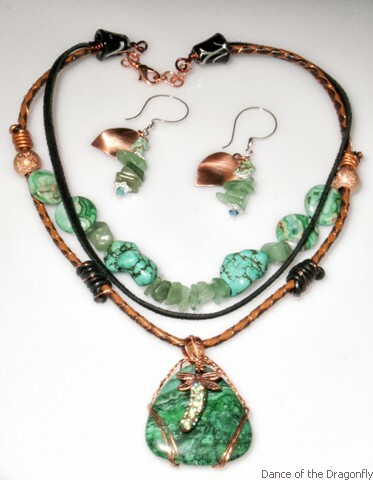 Green Crazy Lace beads, magnesite nuggets, avent glass chips, copper beads & more! Matching sterling & copper earrings.